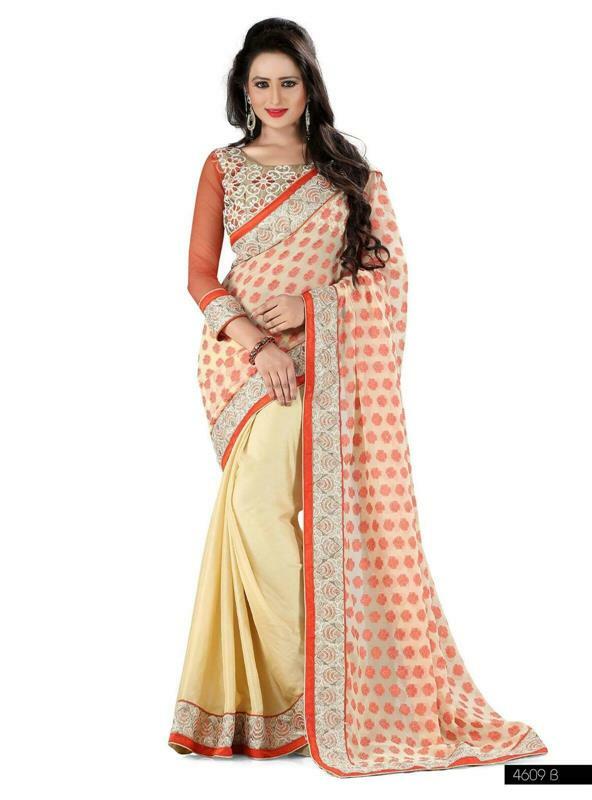 Charming half n half lehenga style multicolor saree with orange and pink shaded thousand butti pallu and satin fabric creases. 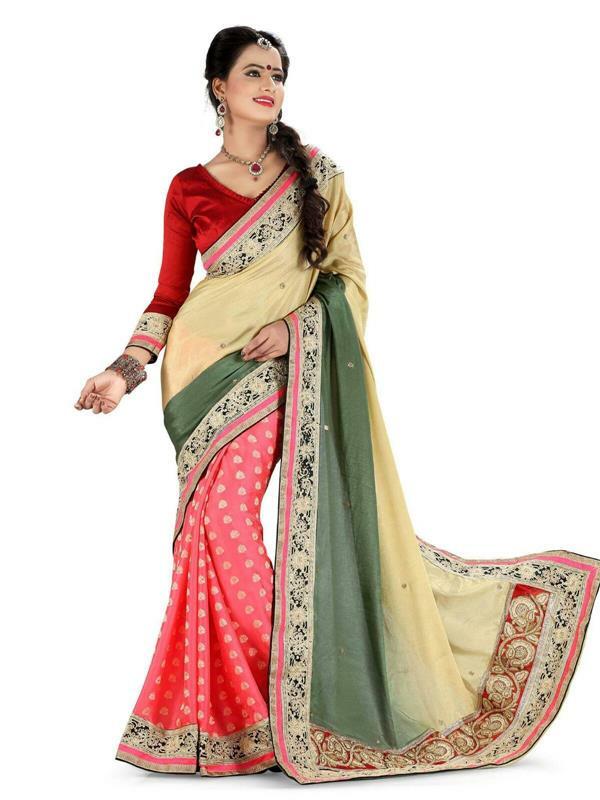 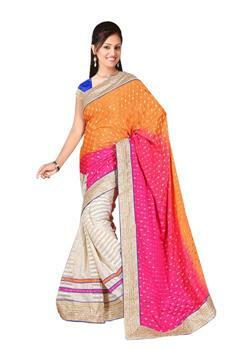 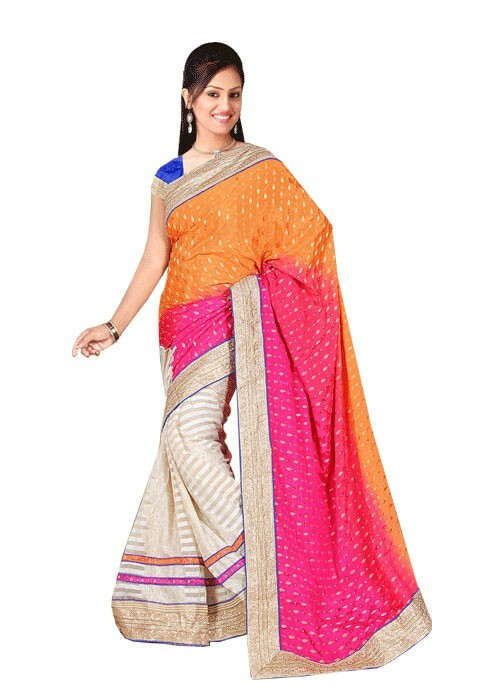 This simple and classic saree decorated with the heavy golden border. 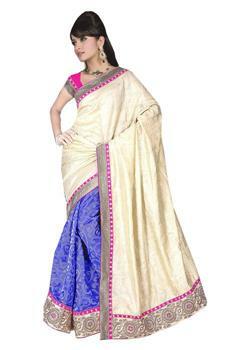 It comes with free contrast blue color blouse fabric.